Associate Professor Adam Sulkowski has taught and advised students from all continents in a variety of formats at the undergraduate, graduate, and executive education levels. Adam’s teaching specializations are in the fields of business law, sustainable business, and corporate social responsibility (CSR). Prof. Sulkowski’s research has appeared in over 30 publications, including over 20 peer-reviewed scholarly journal articles, and has explored topics related to sustainability reporting (also known as triple bottom line reporting), integrated reporting, and corporate and environmental law. His findings have been cited in Inc. magazine, MSN, The Times of India, Science Daily, and Cities Today, among others news sources. Adam has advised start-ups such as www.Waste-Hub.com and has engaged in entrepreneurial projects related to his research and teaching. These have included pioneering the deployment of sustainability reporting – a widely adopted practice in the private sector for boosting good governance and efficiency – with cities on two continents. Prof. Sulkowski received his JD and MBA from Boston College and BA from the College of William & Mary, became a licensed attorney in two states, and was a manager at an education company for several years before becoming a professor at University of Massachusetts where he was awarded tenure. 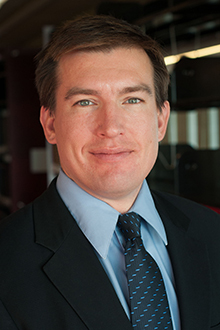 Adam has won awards for teaching, service, and research, including the Holmes-Cardozo Distinguished Paper award from the Academy of Legal Studies in Business. He has served academic organizations in various roles, including president, conference chair, section chair, editor, and reviewer. In 2014 and 2015 he was a Fulbright Scholar in Europe. A Polish-American dual citizen, Adam frequently works internationally and has taught, researched, consulted, and explored in over 80 countries. Mayer, D., Sulkowski, A.J. (in press). Emoluments, Law, Ethics & Policy: Context, Purpose, and Implications Related to Conflicts of Interest & Fiduciary Duties. British Journal of American Legal Studies. Sulkowski, A.J. (2017). Rodolfo's Casa Caribe in Cuba: Business, Ethical & Legal Challenges of Investing in a Start-Up in Havana. Journal of Legal Studies Education. Alexander, M., Sulkowski, A.J., Wiggins, W. (2016). Sustainability & Tax Policy: Fixing a Patchwork of Policies with a Coherent Federal Framework. Virginia Environmental Law Journal. Berger-Walliser, G., Sulkowski, A.J., Shrivastava, P. (2016). Using Proactive Legal Strategies for Corporate Environmental Sustainability. Michigan Journal of Environmental & Administrative Law. Sulkowski, A.J. (2016). City Sustainability Reporting: An Emerging & Desirable Legal Necessity. Pace Environmental Law Review. Vol: 33, Issue: 2, Page: 278-299. Pace University School of Law. Sulkowski, A.J., Waddock, S. (2016). Midas, Cassandra and the Buddha: Curing Delusional Growth Myopia by Focusing on Thriving. Journal of Corporate Citizenship, The. Vol: 2016, Issue: 61, Page: 15-43. Greenleaf Publishing. Sulkowski, A.J., White, D.S. (2016). A happiness Kuznets curve? Using model-based cluster analysis to group countries based on happiness, development, income, and carbon emissions. Environment, Development and Sustainability. Vol: 18, Issue: 4, Page: 1095-1111. Springer Netherlands. Sulkowski, A.J., Waddock, S. (2013). Beyond Sustainability Reporting: Integrated Reporting is Practiced, Required and More Would Be Better. The University of Saint Thomas Law Journal. Vol: 10, Issue: 4, Page: 1060-1085. University of St. Thomas School of Law. Hughey, C.J., Sulkowski, A.J. (2012). More disclosure= better CSR reputation? An examination of CSR reputation leaders and laggards in the global oil & gas industry. Journal of Academy of Business and Economics. Vol: 12, Issue: 2, Page: 24-34. International Academy of Business and Economics. Sulkowski, A.J. (2016). Warsaw, Poland & City Sustainability Reporting : Climate Change and Cities: Second Assessment Report of the Urban Climate Change Research Network. Sulkowski, A.J. (2017). University Experiential Learning Partnerships as Living Laboratories for Sustainability: Handbook of Sustainability in Management Education: In Search of a Multidisciplinary, Innovative and Integrated Approach. Page: 433-454. Sulkowski, A.J., Bagley, C., Sandler Nelson, J., Waddock, S., Shrivastava, P., Scott, I. (2017). Law, Management, and Strategy: Collapsing Boundaries and Managing the Interstices: Academy of Management Proceedings. Vol: 2017, Issue: 1. Academy of Management. Sulkowski, A.J., Randolph, A.F., Luippold, B.L., Bailey, J. (2017). The Rail Trail Flatbread Company Case. United States Association for Small Business and Entrepreneurship (USASBE). Edwards, M., Sulkowski, A.J. (2014). Shaking Stakeholders to Leverage a Firm's Unique Capacity in Issue Networks. Sulkowski, A.J. (2014). Sustainability Reporting by Cities: As a Securities Law Exemption Erodes, A Nascent Obligation May Be Arising. Potvin, K., Tailor, A., Sulkowski, A.J. (2013). Regulatory/Political Climate, Education, Income, Sustainability & Headquarter Locations: What Connection Exists, How to Interpret It & Next Steps For Business Law Scholarship: Academy of Legal Studies in Business.